Stroll along the romantic streets of a historic downtown district, experience the golden age of the railroad, and try to spot alligators within a vast Texas state park. These are just some of the adventures you can have in Rosenberg. This captivating town resides just 30 miles southwest of Houston but feels as if it’s a world away, making it a spectacular getaway from all the hustle and bustle of the big city. Visit Rosenberg and you’ll discover a place that is full of surprises, all of which will make you want to come back for more. Check out the following things to do in Rosenberg so that you get the most out of your time here. If shopping is an essential part of your vacation to do list, then find your way to Rosenberg’s historic downtown district. Stroll along the narrow two-lane streets and you’ll pass beautifully restored historic buildings that house unique antique and rare book stores and boutique clothing and jewelry shops that you can spend all day browsing. Wander around enough and you’ll build up a Texas-sized hankering for some food, and you don’t have to go far to satisfy your appetite. Hit up the Ol’ Railroad Café for succulent pancakes and chicken pot pie during its brunch, lunch, and dinner hours, or dig into an old-fashioned burger and a vintage milkshake at the classically adorned Another Time Soda Fountain. 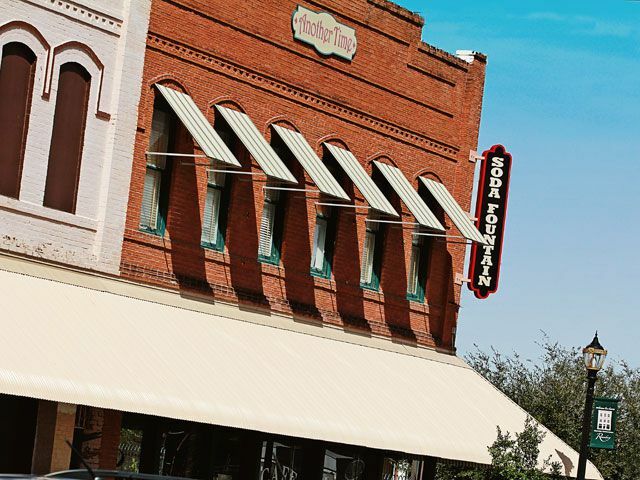 For a steaming hot espresso and a sweet pastry, stop by the Old Main Street Bakery, located right next door.Regardless of where you go in Rosenberg’s historic downtown district, you’ll find there’s no shortage of memorable shops to explore and one-of-a-kind restaurants to enjoy. Along with all the shops and restaurants, downtown Rosenberg is home to one of the area’s top attractions: the Rosenberg Railroad Museum. 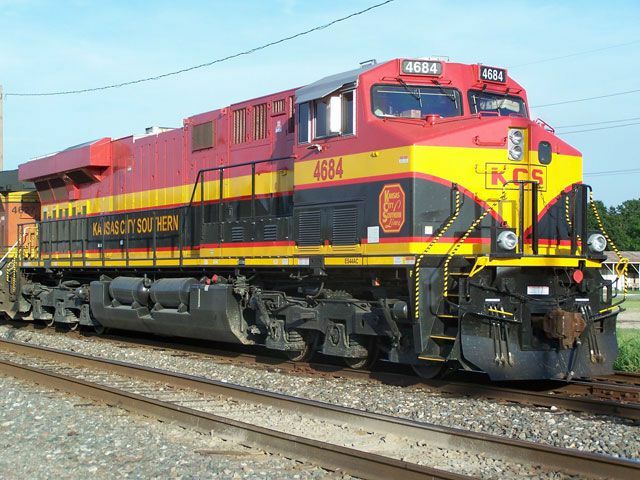 Rosenberg’s history with the railroad goes all the way back to when the first tracks were placed in the late 19th century. The resulting development helped the town become what it is today. You can see all of this history by looking around the various displays of photographs and artifacts in the museum. Yet there’s much more here than history. Climb aboard a spectacular 1879 “Quebec” passenger car to see what travel was like in the golden age of rail, or take a close look at a caboose that was once a living space for engineers. There’s also a stunning model train exhibit that delights visitors young and old, and the historic rail tower painted to look as it did when it was built in 1903. Once you’re done exploring the museum, stop by the Whistle Stop Gift Shop for a model train, book, or souvenir coffee mug. Do you enjoy going to the theater? Then Rosenberg’s CAST Theatrical Company can’t be missed. Watch a captivating musical or a hilarious comedy in one of the most intimate venues you’ll ever see, a 62-person theater located on the second floor of one of downtown Rosenberg’s historic buildings. You can go see one of these performances on most Friday and Saturday nights throughout the year. If you’re planning on going, get your tickets as early as possible because seating is limited. Fortunately, tickets are available on the theater company’s website, as is a full schedule of shows for the year. 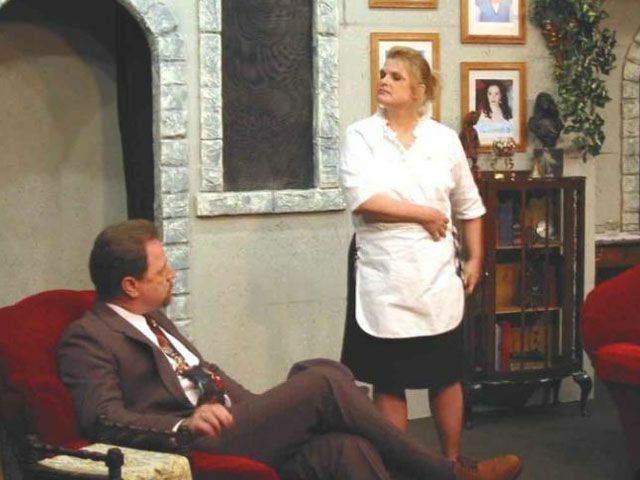 Top-class performances in one of the coolest theaters around make any show by CAST Theatrical Company worth going to, so don’t miss out during your visit to Rosenberg. Looking for a bit of a walk on the wild side? Then Brazos Bend State Park is the place for you. This vast natural area is home to a wide variety of critters native to the Texas Gulf Coast, including a rather large population of alligators. All of this wildlife can be seen from the park’s many hiking and biking trails that wind through hardwood forests and on the shores of six scenic fishing lakes. For the best chance to view a ‘gator, traverse the 40-Acre and Elm Lake Trail system. If you spot one of these gators, remember to stay at least 30 feet away and follow the other safety tips outlined by the Texas Parks & Wildlife Department. Seeing an alligator is all well and good, but there’s more to Brazos Bend State Park than close encounters of the reptilian kind. The park is also a great place to go if you’re a birding enthusiast, or if you want to spend a few days camping under Texas’ wide-open sky. Yet the biggest attraction, besides the ‘gators of course, is The George Observatory. You can do some serious stargazing at the observatory, which has three domed telescopes including the 36-inch Gueymard Research Telescope, one of the largest of its kind in the country that is regularly available to the public. Along with its telescopes, the observatory has a meteorite exhibit and several interactive displays meant for astronomers of all ages. 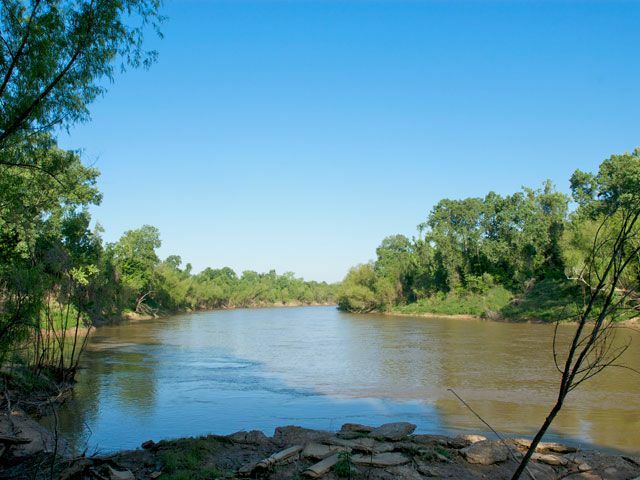 Whether you’re looking for a place to see alligators in Texas or to explore the stars, you’ll be happy you visited Brazos Bend State Park. Rosenberg, and Fort Bend County, has a colorful history that goes all the way back to the 19th century. Evidence of this can be seen throughout the county, from the beautifully restored homes and stately mansions to the remarkable county courthouse and historic cemetery. Many of these sites are in the neighboring community of Richmond that is essentially part of the same urban area as Rosenberg. Start at the Fort Bend Museum, where you can learn about life in the area as far back as when settlers first arrived in 1822. Browse the museum’s displays of artifacts and antiques in the stately 1883 Historic Moore Home, then go check out the Long-Smith Cottage that was built on land owned by the “Mother of Texas,” Jane Long. For a closer look at life on the Texas frontier, giddy on up to the George Ranch Historical Park a few miles southeast of Richmond. 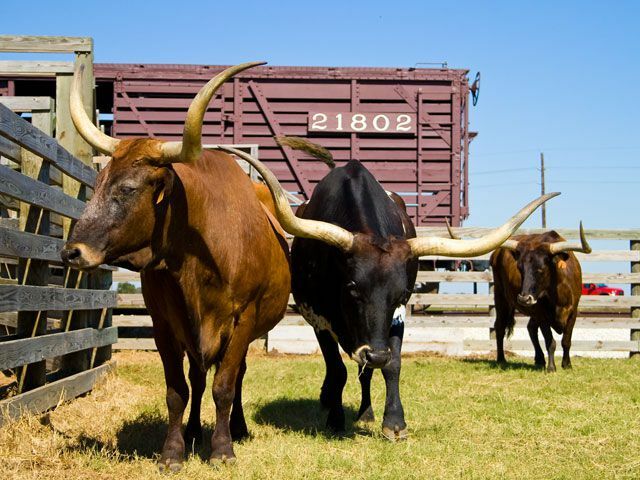 At this still-working 23,000-acre ranch, you’ll see historical reenactors demonstrating various tasks a rancher or cowboy may have needed to do in the earliest days of the Lone Star State, along with numerous homes from a range of time periods. Once you’ve immersed yourself in the state’s earliest days, head back into Richmond and stop by the Fort Bend County Courthouse, a spectacular structure built in 1902 that features stately Roman columns and a towering statue of Lady Justice atop a bronze dome. End your walk through Fort Bend County history by traveling back to Historic Downtown Rosenberg, where all of your adventures began.